From all of your favorite Women of Faith®! 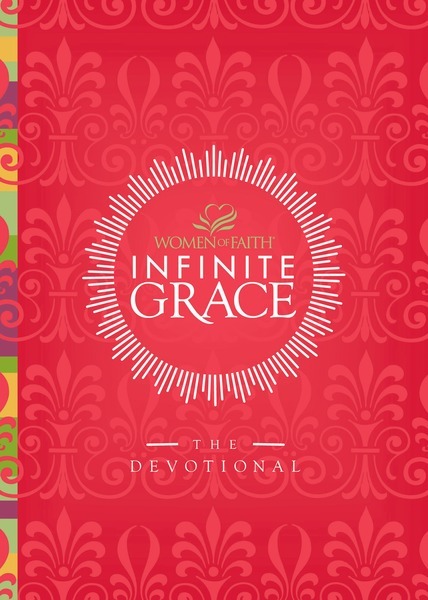 This lighthearted and inspirational collection of brand new devotions shares a message of grace with the warmth and wisdom fans have come to expect from Women of Faith®. Boundless Grace offers a love that has no limits, a spacious freedom for the woman who trusts in the Lord every day. Unfathomable Grace reaches deep into the heart, showing that wherever you go God is always there ahead of you. Immeasurable Grace is the overflowing, never-ending fullness of life and joy kept in the heart of God for his children. Eternal Grace shelters us through the storms of life and walks with us even through the valley of the shadow of death. Together, forty devotionals told in the authors’ diverse voices give a compelling view of why and how we can find infinite grace in Christ. Infinite Grace includes a special tribute section remembering Barbara Johnson. Sheila Walsh, Luci Swindoll, Mary Graham, Patsy Clairmont, Marilyn Meberg, Thelma Wells, Carol Kent, Sandi Patty, and others remind you that even if time is scarce in the busyness of life, God’s grace never is!